Scattered across the Ivory Coast, Mali and Burkina Faso, the million and a half Senufo tribespeople live principally off the fruits of agriculture and occasionally hunting. They inhabit villages governed by a council of elders, who in turn are led by a chief elected from their number. Tribal cohesion is reinforced through the rituals of the Poro society who initiate and educate the men from the age of seven onwards. Senufo theology is based on Koulotiolo, a powerful god, and Katieleo, a goddess mother, who through the rituals of the Poro society, regenerates the world. 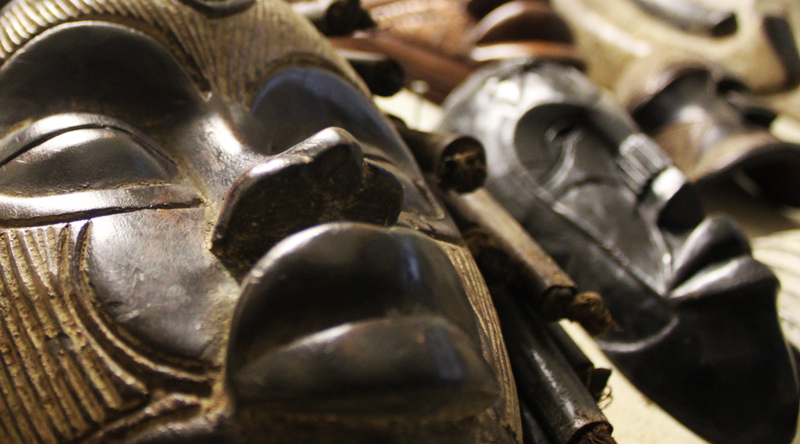 The Senufo were among the first tribal artists to be admired by the Western world. Their artistic output has been prolific – statues and masks characterized by realistic features or highly geometric shapes which emphasize rhythm and the opposition between void and full spaces.